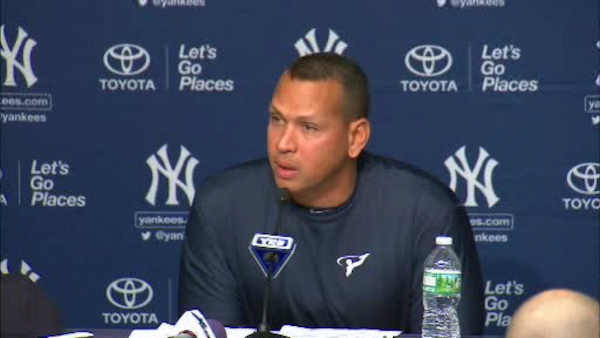 NEW YORK -- Alex Rodriguez will play his final major league game Friday with the New York Yankees and then become a special adviser and instructor with the team. The 41-year-old designated hitter, a three-time AL MVP and 14-time All-Star, is hitting .204 this season with nine home runs and 29 RBIs in 216 at-bats. His worsening slump finally relegated him to the bench for most of the past month, with Rodriguez getting only one start and seven at-bats in 14 games since July 22 - he wasn't in the starting lineup Sunday against the Indians. RELATED: Does A-Rod deserve to be in the Hall of Fame?